If you’ve been managing a colocation data center for many years, you may fondly remember a time when your sales team had it a lot easier. Back then, IT evaluators and decision makers had relatively little power, there was tremendous information asymmetry, your sales team was truly in control and had prospects knocking on its doors very early on in the sales process. Today the opposite scenario exists. Buyers are using the disruptive power of search engines and social media to do all of their research upfront. By most accounts, anywhere from 60% to 90% of the decision-making process has already taken place before a prospect is ready for a conversation with someone from your sales team. Buyers have a lot more power than they ever have had in the past, which presents enormous challenges to traditional colocation data center sales teams. Joshua helps colocation data centers grow their leads, client base, revenue, and profitability. As a HubSpot Certified Partner and former Microsoft content provider and IBM sales rep with over two decades in technology marketing and sales enablement, Joshua is especially focused on helping clients differentiate, get found early on in the sales cycle, achieve trusted advisor status, and command premium pricing power to drive sustained, profitable, revenue growth. 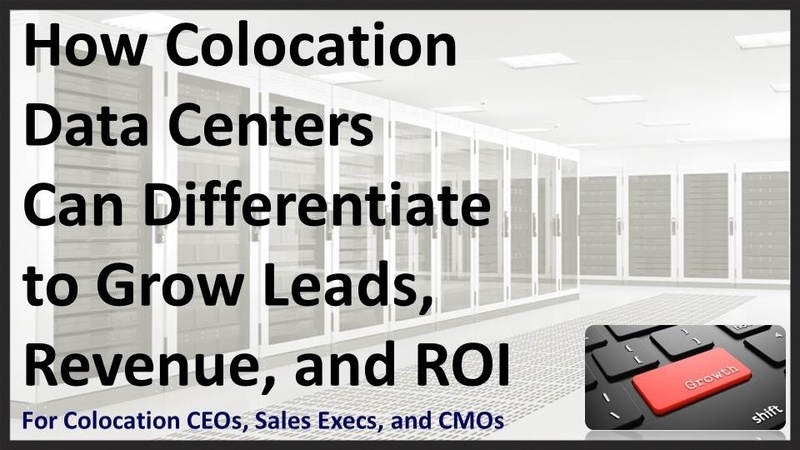 Complete the form on this page to get access to the recording from "How Colocation Data Centers Can Differentiate to Grow Leads, Revenue, and ROI."